Looks are important, right? In a day and age where Instagram and Facebook feeds are enhanced with filters and what have you, it's obvious that good looks grab attention. Bajaj seems to have realised that it needed a bike that's appealing in order to lure the style conscious, 150cc+ motorcycle buyers. Enter the Pulsar NS160. 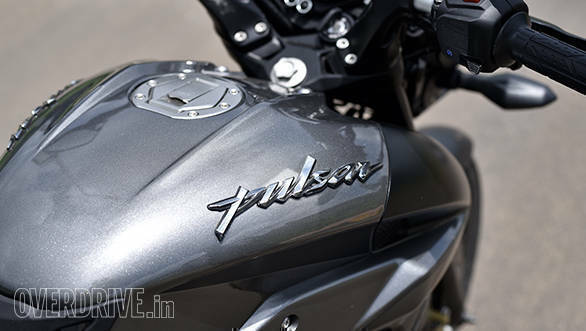 The Pulsar NS200 looked smashing when it was launched back in 2012. The design language, back then, was bold and muscular, and it managed to strike a chord with the youth. The NS160 you see here features similar design cues and carries the same dual-tone paintwork that debuted in the 2017 BS-IV NS200. The headlamp, tank and other body panels are identical to the NS200's. I particularly like the chiselled fuel tank and the way the tank extension wraps around the perimeter frame. That said, the only eyesore is the spindly 110-section tyre at the rear and the narrow swing arm that looks like it belongs on a commuter, instead of the sporty NS. 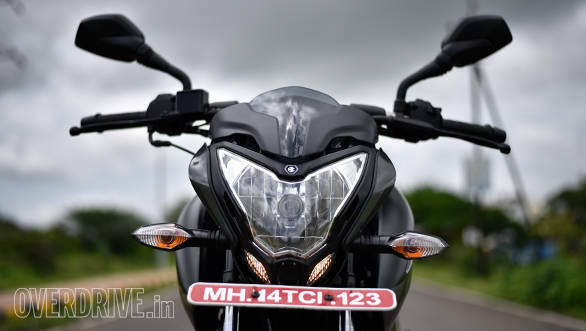 The paint quality and general fit and finish are at par with the bigger Bajaj bikes, such as the Dominar 400; however, there are a few niggles. The switchgear, for instance, looks cheap, and the rubber tank pad as well as the chrome Pulsar monogram on the tank had begun to peel off on our brand-new test bike. A stronger adhesive and a little more attention to detail would have helped, for sure. The NS160's engine is based on the 150cc mill that powered the now discontinued AS 150. 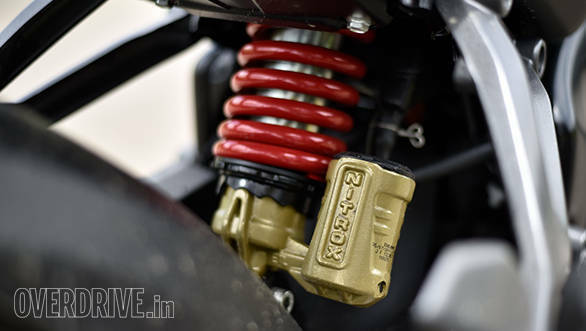 Bajaj has increased the bore, while the stroke remains the same. 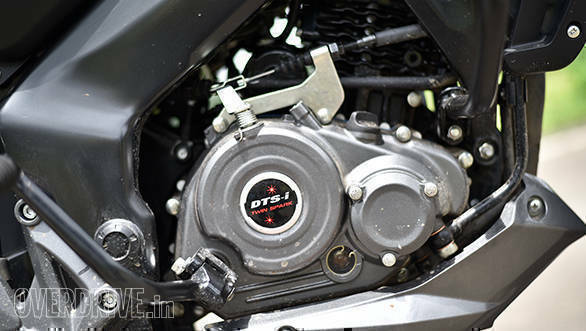 The engine now displaces 160.3cc, utilising a 4-valve DTS-i head and an oil cooler. It produces 15.5PS at 8,500rpm and 14.6Nm at 6,500rpm which is higher than what the competition offers. The motor is mated to a 5-speed gearbox. The first thing that strikes you when you start the motor is the refinement. At idle, there are next to no vibrations and you only feel a slight buzz in the footpegs and tank as the revs climb. 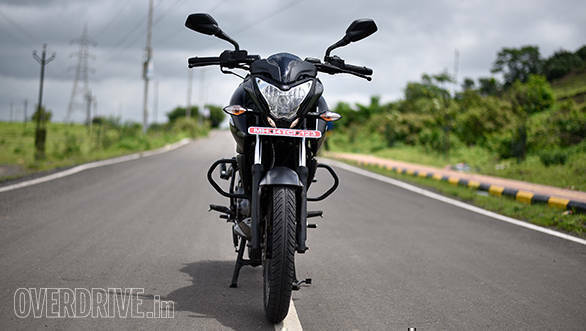 I was quite surprised with what Bajaj has achieved in terms of engine refinement, and this is easily one of the smoothest Bajaj motors out there. That said, the vibes become prominent as the revs rise past 7,000rpm and all the way to the redline. The long stroke configuration means a majority of the torque is concentrated in the low or mid range. 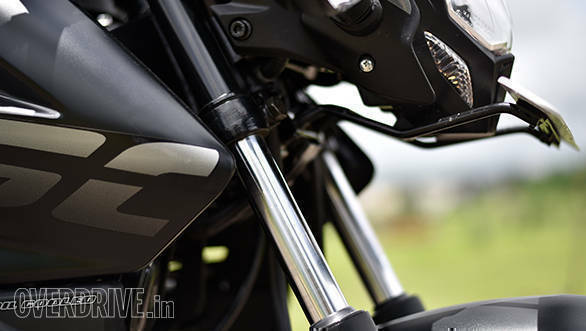 The NS160 surges ahead as soon as you let go of the clutch and roll on the throttle. Power delivery is linear and acceleration through the gears is brisk. We recorded a 0-60kmph time of 5.8 seconds which is good, but the performance begins to taper post 80kmph. From then on, it takes a while to get past 100kmph, as is evident from the 20.4 seconds it took to breach that mark. 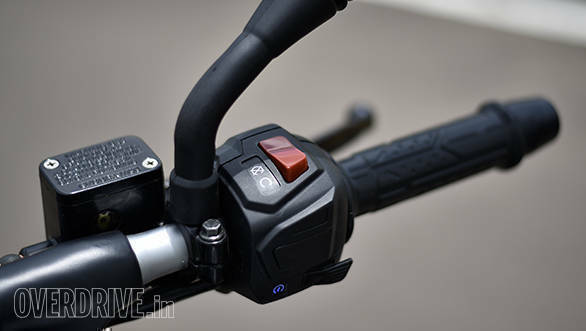 What that translates to is a bike that's focused primarily for riding in the city, and this is where the NS160 truly excels. The bike is happy to chug at 35-40kmph in fifth gear, and all I had to do was simply roll on the throttle to overtake the unruly auto drivers that abound in Pune. The flexible nature of the motor allows stress-free commuting as you don't have to keep working up and down the gearbox to stay in the power band. 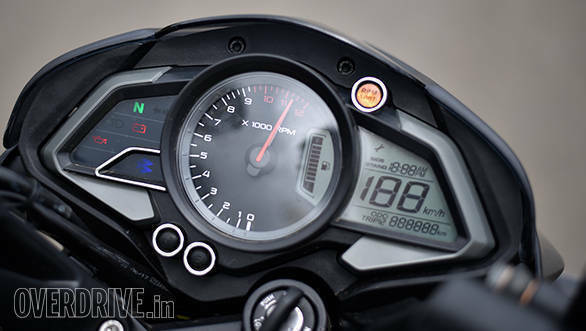 Out on the highway, the bike is happy to cruise between 80-85kmph after which it feels stressed, especially around the 95-100kmph mark. 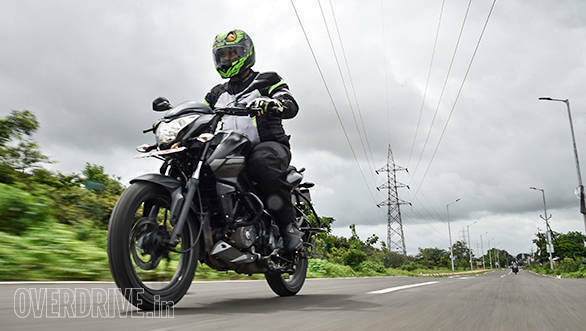 Personally, I would have liked a bit more grunt at the top, but Bajaj officials tell me that most of the target audience rarely ventures beyond the 80-90kmph mark on a highway and up until then the motor is happy. 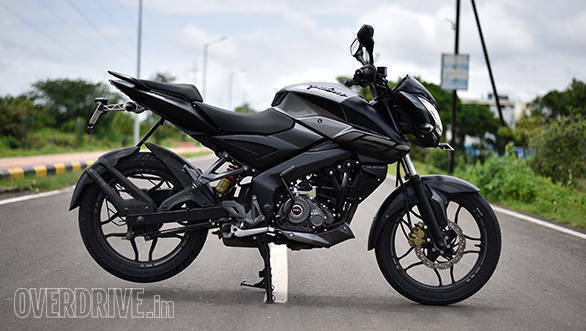 The NS160 is quite frugal for a 160cc motor and the skinny tyres sure help in this regard. In our tests, the NS160 returned an impressive 42.2kmpl in the city and 51.6kmpl on the highway. The NS160 employs the same-twin spar frame that's present in the NS200 and the wheelbase, at 1,363mm, is identical too. However, the NS160, at 142kg, is lighter by 10kg and that makes it an easy bike to chuck around corners or make quick direction changes. 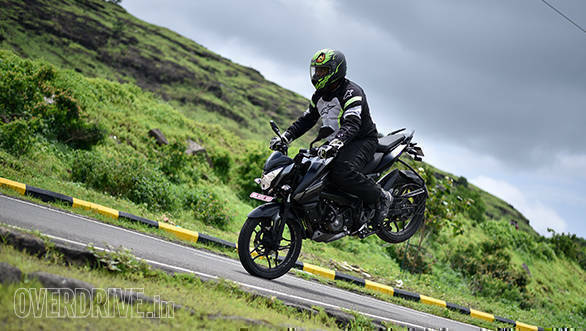 Grip from the MRF rubber (thankfully no Eurogrip here) is impressive too, and it's the sure-footed handling that makes the NS160 such a likeable bike in the bends. This level of handling, however, has not come at the cost of ride quality. The conventional telescopic forks upfront and the gas-charged monoshock at the rear offer a comfortable ride over monsoon-ravaged roads. Bumps and potholes have no effect on the stability of the bike either, and overall the NS160 has a great blend of ride and handling. The 240mm disc brake upfront may be smaller than what the competition offers; however, it is not lacking in terms of bite or feedback. 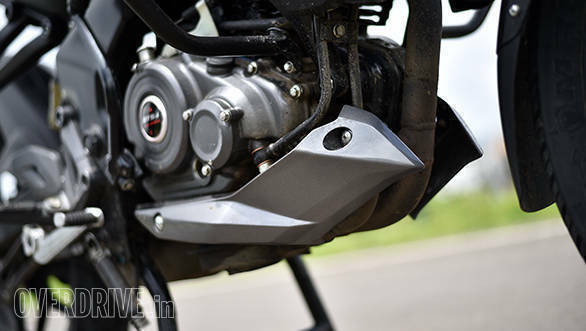 Stunters who've for long worshipped the Pulsar as the ultimate stunt machine will love the powerful front brake, as pulling a stoppie is a piece of cake on the NS160. 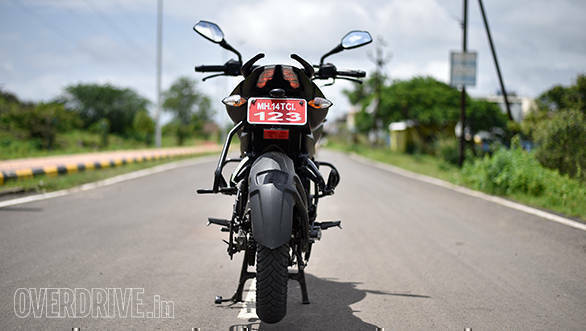 The Pulsar 160NS brings a unique proposition to the table. It combines the typical traits of a quick yet fuel-efficient commuter to the style and handling ability of a bigger capacity machine. At Rs 78,368 ex-Delhi, the NS160 goes up against established competition, but it sure does have the fire power and the looks to take them on.